Since our establishment in the year 2012 at Faridabad, Haryana, India, we “Suhan Pack Tech Private Limited” is a Private Limited Company, engaged in manufacturing a highly reliable array of Packing and Filling Machine, Wrap Machine, Crumbling Machine etc. We are supported by highly skilled professionals who work in close coordination to deliver products that are in accordance with the latest market trends. Moreover, we take all steps to ensure that our products meet the desired quality standards. Greetings from Suhan Pack Tech Pvt. Ltd ! We are one of the leading manufacturers and exporters of Automatic Pouch Packing Machines. 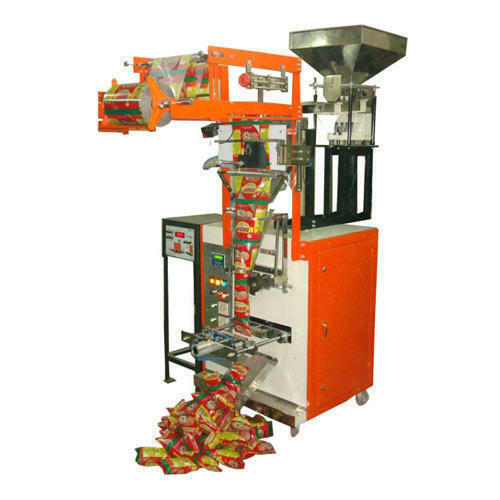 we are manufacturing all types of flexible pouch packing machines to pack various products in Spices, Granules, Kurkure, Macaroni, Powder, Detergent, Tea Bag, Syringe, Biscuits, Soaps, Stick Pack,Chocolate, Snacks, Tobacco, liquids and Tomato, Honey paste as well & all types of packing machines. Please visit our website- for more info on all packing machines. In case you have requirement of any Packing machine please feel free to contact us & for Spare Parts of all kind of Packing Machines.